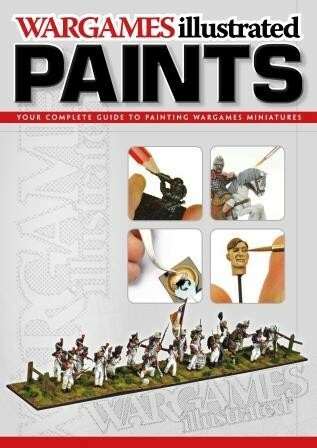 BP1498 - Wargames Illustrated Paints. Wargames Illustrated Paints is your definitive guide to painting Wargames figures by two of the best professional painters in the hobby, compiled by the publishers of the world’s best selling table top gaming magazine. Wargames Illustrated Paints is a collection of material which has appeared as articles in the magazine, plus new and exclusive content which connects these articles together, providing you with a complete, easy to follow and superbly illustrated painting guide. Covering both basic and advanced painting techniques, over the course of 76 photo heavy pages, WI Paints will be an invaluable (and very affordable!) edition to your hobby bookshelf.